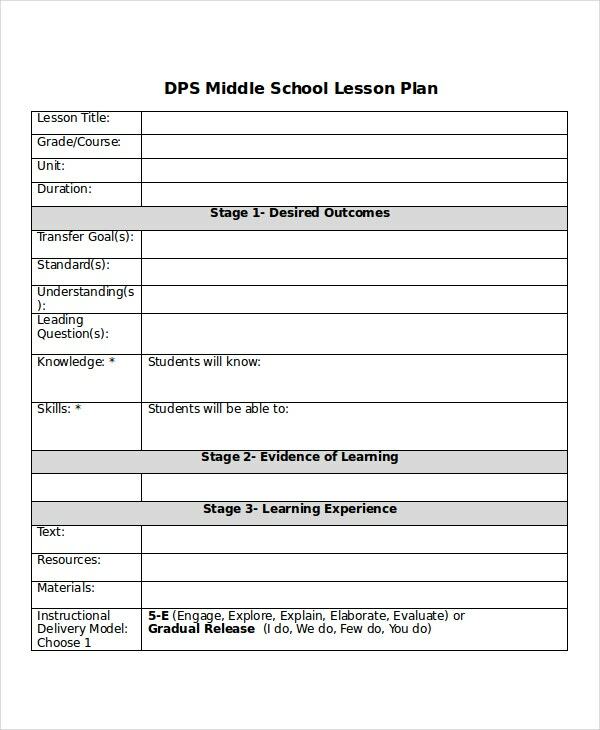 Lesson plan template helps trainers to set goals for the students to learn the lessons and record the assessment. 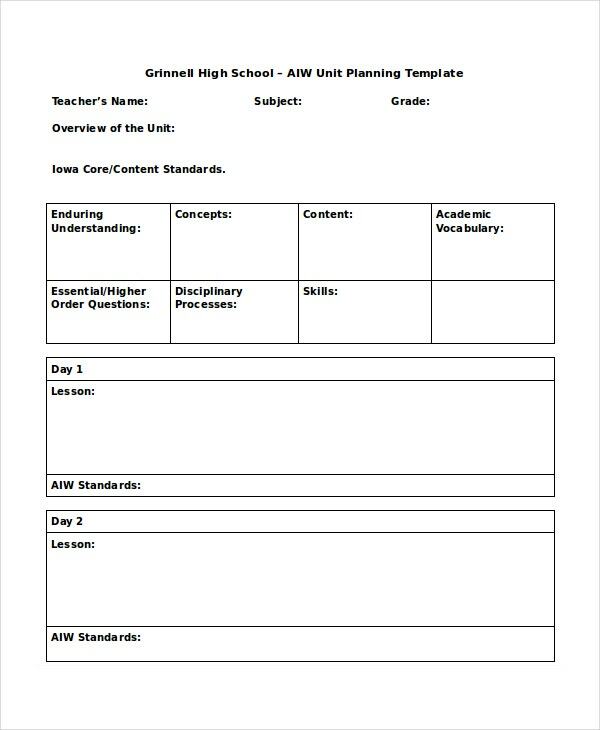 There are varieties of lesson plan templates available such as unit lesson plan template, core lesson plan template, daily Lesson Plan Templates and many more. They also help to introduce various learning strategies and activities to enable the students to learn the lessons easily. They can also be considered as action plan templates. To know more about them, one can search Google using “lesson plan template PDF”, “lesson plan template for elementary teachers”, “weekly lesson plan template” or “lesson plan template elementary”. 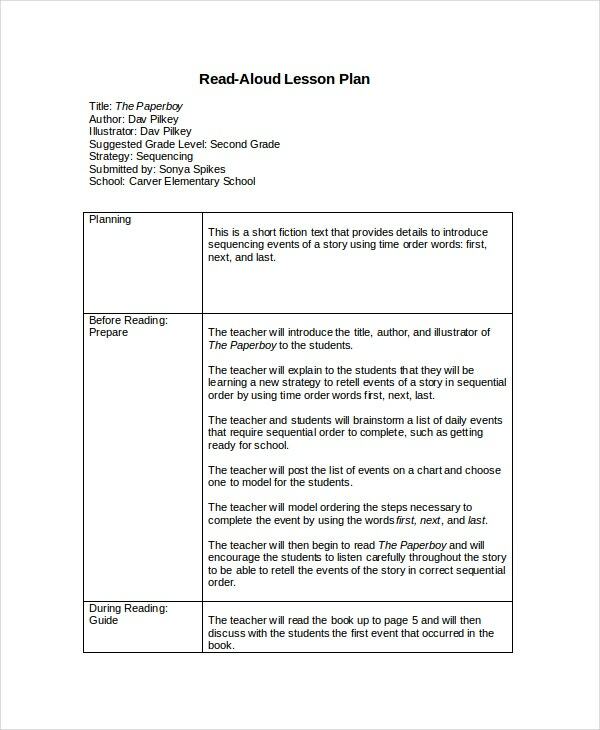 This lesson plan template doc format provides records of the student goals and various activities related to Lesson Plan Templates reading. It also enables to record the achievements of these activities and fine-tuning strategies for the reading plan. 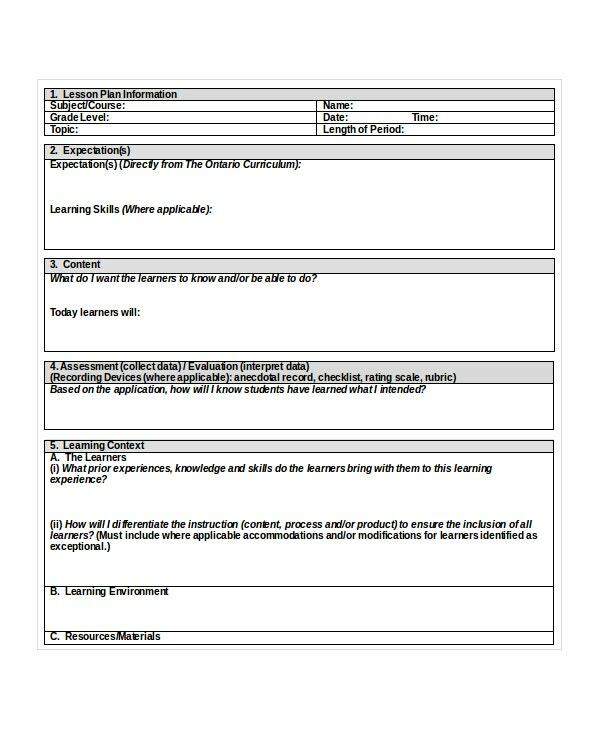 This lesson plan template word format enables to record learning skills, learner’s content, and assessment details. It also allows record context of the learning, learning environment, resources and strategies. The teacher’s notes are also recorded. 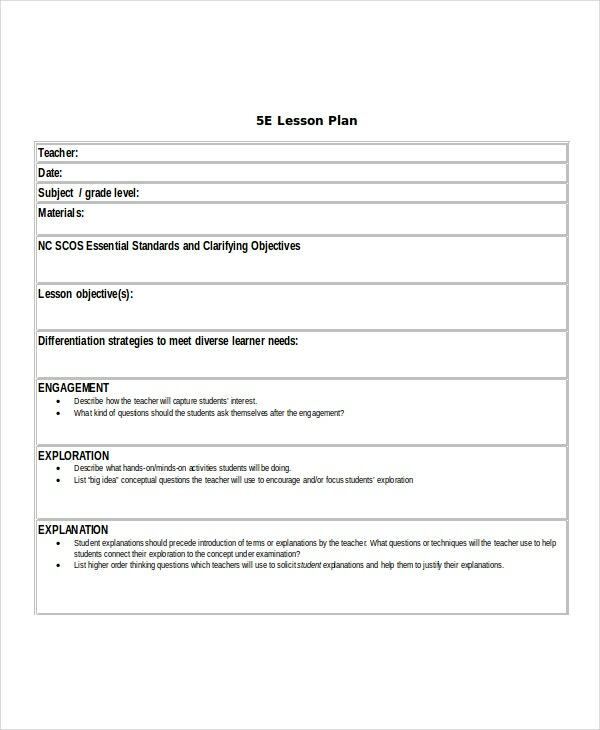 This core lesson plan template enables to assess how students perform with various lessons and achieve the targets. The activities and the resources that are provided to the students are also recorded. It also records the necessary modifications required. 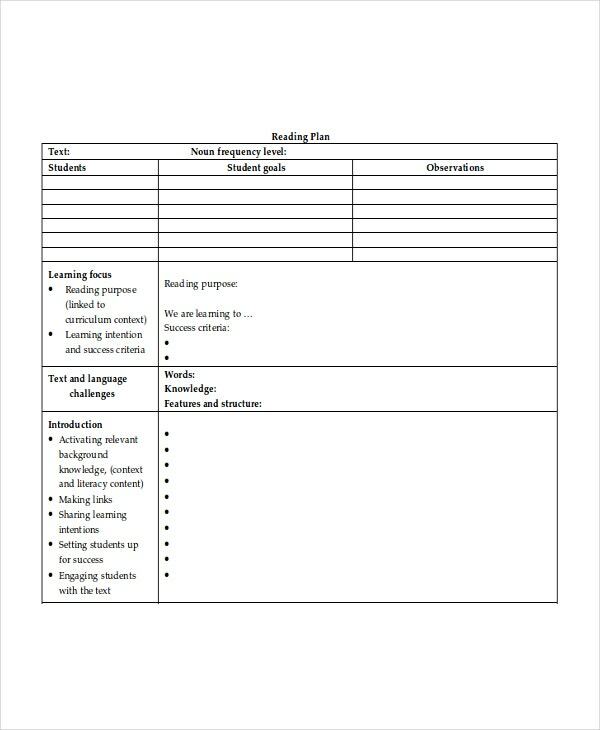 This printable lesson plan template helps in recording various strategies or activities to learn lessons like engagement with classroom teaching, exploring the lessons in a broad aspect, explanation and elaboration capabilities. Student’s abilities are assessed and recorded. 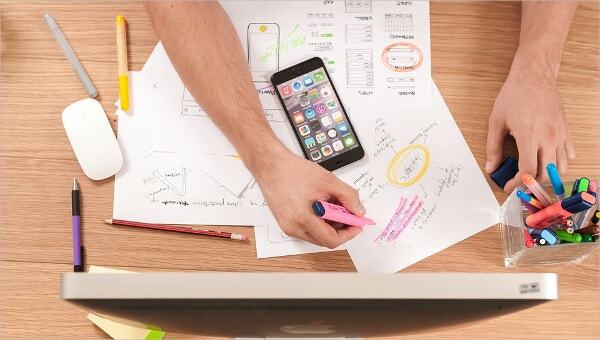 This unit lesson plan template is also considered as daily lesson plan template; it provides an overview of the unit by recording understanding capabilities and concepts for the lessons that are taught on each day. The standards of learning are also recorded on a daily basis. > What is the Utility of Lesson Plan Template? 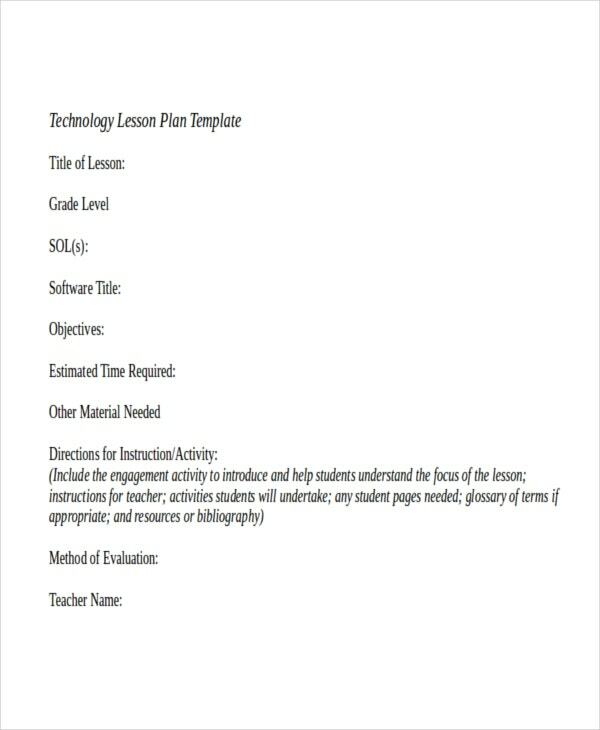 Lesson plan template helps the teachers to explore about lessons, learning methods as well as helps the students to showcase their abilities. They enable to chalk out goals for learning the lessons and to measure the content that the students have learned. They also enable to measure duration students take to reach the learning goals. They help in recording the student abilities through assessments made by the teachers at each level or activity. They enable to modify the strategies of learning methods or activities to help the students reach their goals in an effective manner. They are the project plan templates for educational industry. 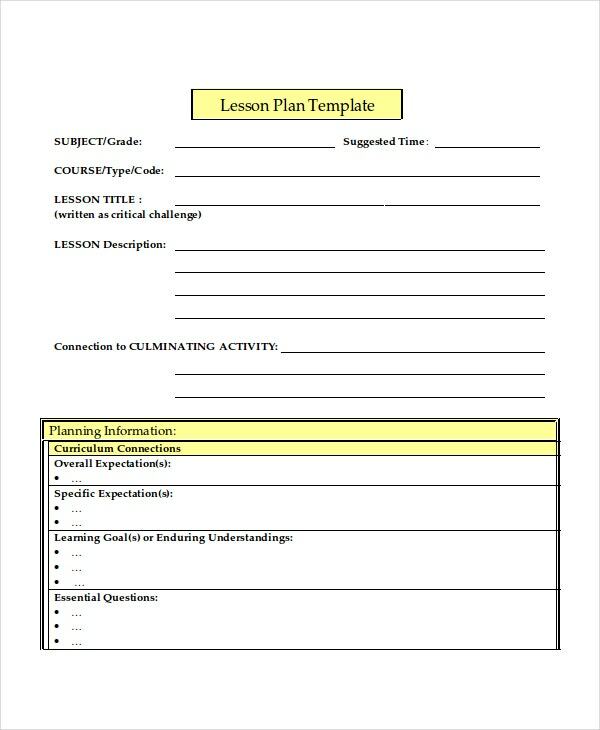 With plenty of Lesson Plan Templates available, it should be easy for the teachers to pick the right template. 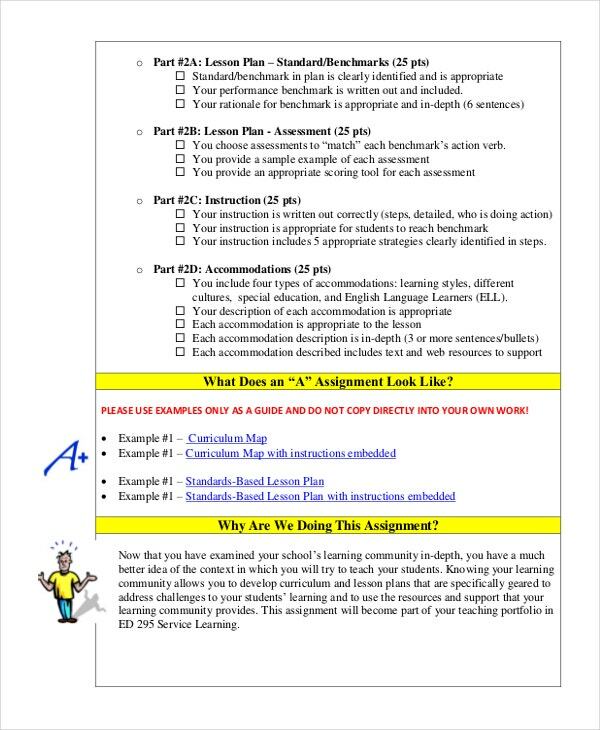 > Who can Use Lesson Plan Template Effectively? 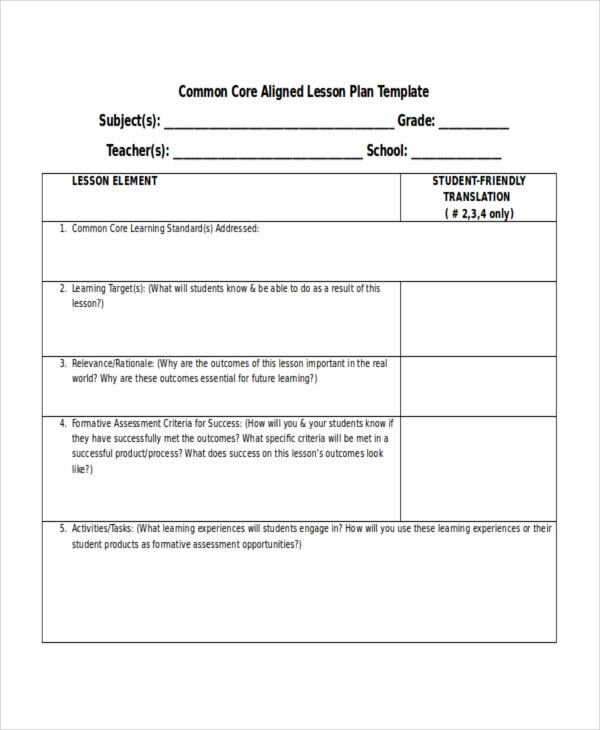 Lesson plan template helps the trainers or teachers to organize their ideas and make a structured content. One should clearly define the objective of the lesson plan which helps in knowing the teacher’s goal. One should plan the tasks as well as activities which are vital in making the students learn. But one should schedule each activity so that the learning process goes smoothly. Next is the material that one is proposing to impart learning to students; books, presentations, quizzes, etc are some of the ideas. One should be able to record the home tasks assigned to the students as well. The Lesson Plan Templates can be daily, weekly or monthly pattern but one should know how to utilize them properly. > What are the Benefits of Lesson Plan Template? Lesson plan template helps the trainers to prepare various activities and bring out their creativity. They help the students explore more about the lessons and learn about new concepts learning. They make the learning more fun and interesting and eliminates lackluster training. They help the trainers to explore new methods of teaching and introduce varieties of materials . They help the teachers to evaluate the students with high precision and take necessary action to improve the students’ capabilities. They enable the trainers to make amendments to their teaching strategies to produce the best output. They are valuable tools for both learners and trainers to prosper in their career. 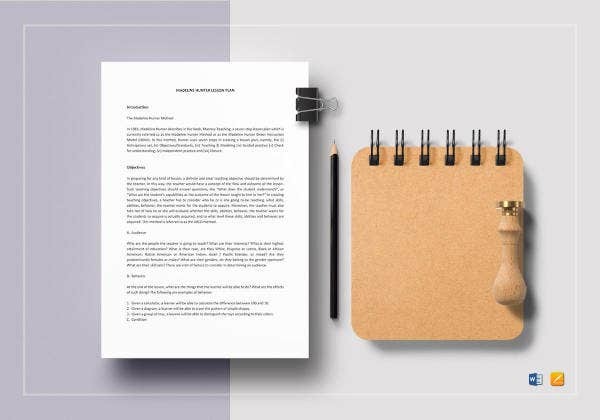 Lesson plan templates, which are also known as school action Lesson Plan Templates, are valuable tools for educational institutions to impart best practices of teaching. They help the learners to perform research and produce best methods of learning. They also benefit to impart education using structured content and enable to make better assessments of learners. They are available in word and PDF formats and one can easily utilize them.